2. Add a few drops of food coloring. I usually use about 6 drops per bottle. You can use straight colors or mix them to make additional colors. 3. Close the bottle and gently shake to mix. 4. 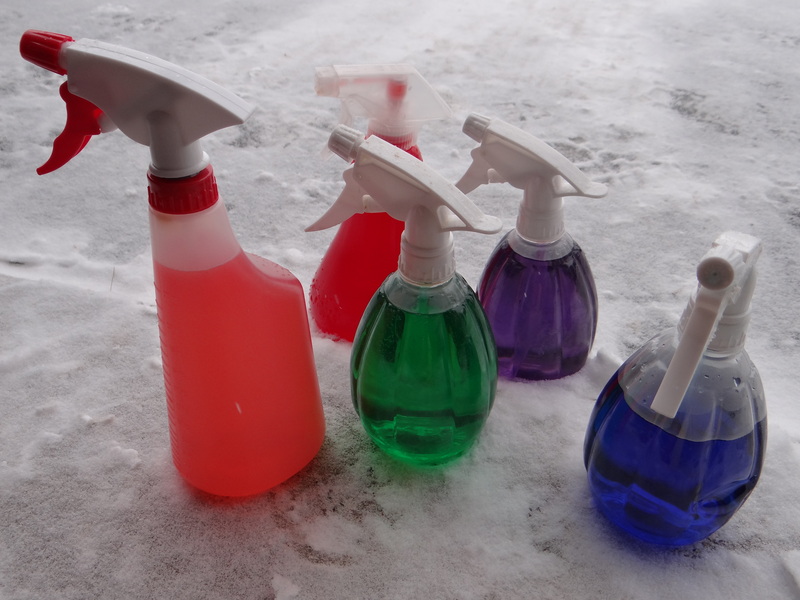 Head outside and use your new snow paints! This will work with both “spray” and “mist” settings. 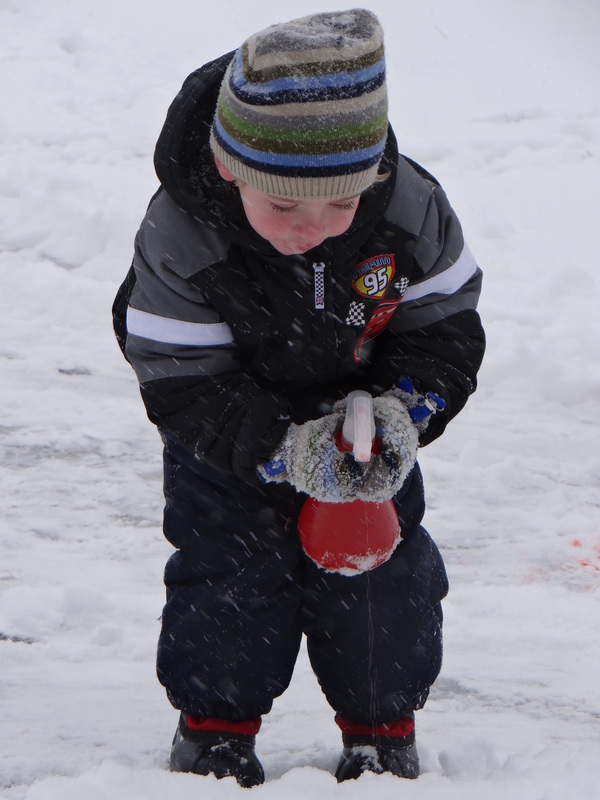 Kids can make designs in the snow and decorate snowmen or other objects. 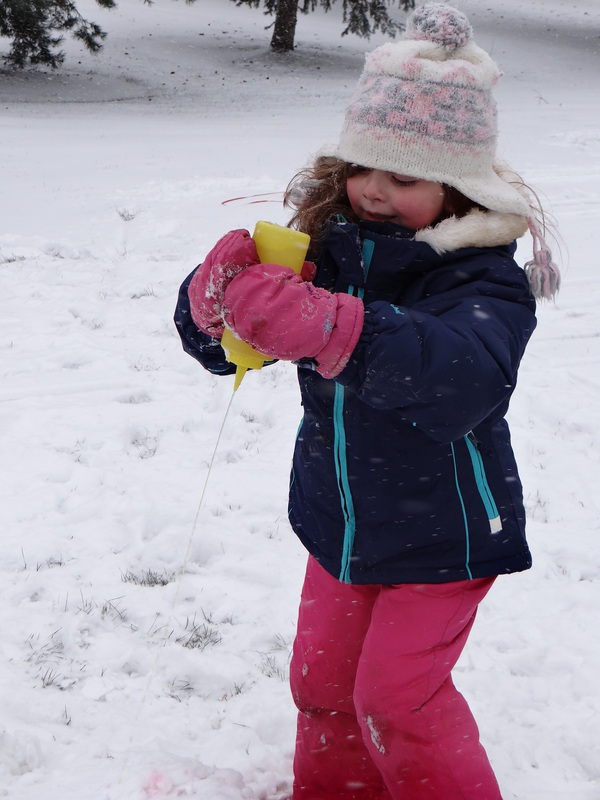 Our only rule is “Don’t spray people or animals!” I remind them of this every time we go outside to play with our snow paints. Meg tells how to make coffee filter snowflakes on page 20 of the January 2014 Issue.